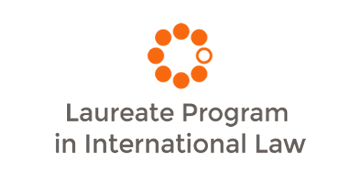 Applications are invited from suitably qualified doctoral and early career scholars in international law, history, political theory, and related fields to participate in the Laureate Program in International Law at Melbourne Law School during 2018. The Laureate Program in International Law is funded by the Australian Research Council from 2015 to 2020, and led by Professor Anne Orford. It establishes a new interdisciplinary research team, working on a major project entitled Civil War, Intervention, and International Law. The Program combines historical research, legal analysis, and critical theorising to make sense of the changing patterns and practices of intervention, and to enhance the capacity of international law to respond to major social, political, and economic transformations. The Kathleen Fitzpatrick Visiting Fellowships are offered annually, and enable outstanding female doctoral and early career researchers to visit Melbourne Law School and work with the Laureate Program for up to two months. Funding of up to $3000 is available for Kathleen Fitzpatrick Doctoral and Postdoctoral Fellows towards the costs of travel to, and accommodation in, Melbourne. The closing date for applications is 1 May 2017.